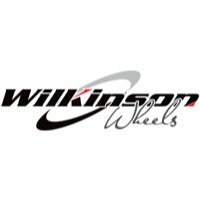 The Wilkinson 27*1 1/4'' Solid Axle Hybrid Wheel is a reasonable-quality 27-inch wheel as fitted to touring bikes and road bikes up till the late 1980s. Aluminium alloy rim and hub. Solid axle - takes nuts (doesn't take a quick release).